There are many different ways to calculate the an injection mould price, but, they have one thing in common, that is taking efforts to make technical and economic indicators organically combine in order to produce mutual benefits. It will make the injection mould to have competitive prices from the valuation to offer, to contract and to the settlement price. Mould material costs can be calculated by mould size and material prices. Mould design is 10% of the total cost. Pricing and billing is the continuation and results after injection mould valuation. Mould quotation and valuation is only the first step, the ultimate goal is the final settlement price of the mould after manufacturing and delivery. In this process, people always want the mould valuation price=mould price=mould settlement price. In practice, this is not exactly equal to the valence. There may be fluctuations in the value of the error. That is the question to be discussed below. After the injection mould valuation, the offer needs to be organized into a mould processing contracts signed as basis. Through repeated negotiations, both sides approved the final form of the mould price, signed a contract. Then finally start plastic injection mould making. The mold valuation cannot be the direct quotation immediately. In general, it should also according to market conditions, customer psychology, competitors, state and other factors to comprehensive analysis the appropriate valuation, and then increase 10%-30% for the first offer. After bargaining, the price can be reduced according to the actual situation. However, when the offer to discuss the injection mould less than 10% of the valuation, the mould to be re-refined to improve estimates, to ensure the security of this favorable situation, the signing of the contract for mould processing, finalize the injection mould prices. Mould prices are approved and signed by both parties in the contract price. In this case, the mold price may be higher or lower than the estimate. 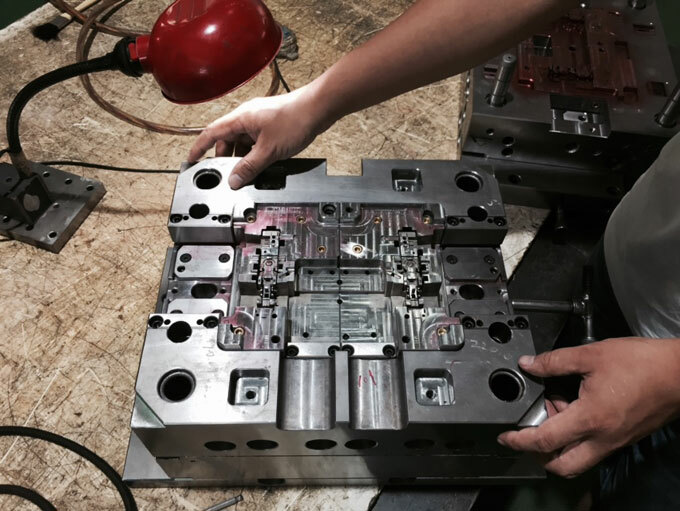 When the price is lower than the guaranteed, the injection mould needs to be re-amending the requirements, conditions, and other programs to reduce some of the requirements, in order to reduce the cost. After re-estimating, a contract price can be signed. It should be noted that the mould is high-tech specialty products, should not use low-cost, or even at a loss to cater to customers. But, it should be done at competitive prices, the quality assurance, precision, life in the first place, rather than the price. The pursuit of low-cost mould, it is difficult to ensure the injection mould quality, accuracy and service life. However, when the plastic injection mould manufacturer is the same or has an economic interest in the relationship, in this case, the offer should be cost price quote. Die valuation estimate only the basic cost of the mould, the other costs and profits will not consider being products of the future profits. But this time the offer is not as true mould of the price, can only be used as a mold pre-development costs. In the future, once the products successfully developed, generate profits, should die for extracting value, the unit returned to the mould manufacturing, the two together to form a mould price. In this case the price of the mould is formed, there is likely to be higher than the price of a first mould case, even a high rate of return, is several times the original price of a normal injection mould, a few hundred dollars. Of course, there may be the rate of return equal to zero. It should also be noted that injection mould valuation and price can be different in various enterprise, region and national, as well as different time and environment. That is, there are regional differences and time difference. The reason is: on the one hand enterprises, regions, countries manufacturing conditions are not the same, different equipment, process, technology, personnel concepts, standards and other aspects of consumption, resulting in costs of the injection mold, estimated profit targets different, resulting in a different mould price difference. Generally, for developed areas with high-tech, advanced equipment, standardized large-scale mould companies, their goal is high quality and high price. But in low levels of consumption areas, low-tech, less equipment investment, small and medium enterprises, the price estimates lower. On the other hand, there is still time difference. Different time requirement results in different mould price. This differential aging has two aspects: First, a set of injection moulds have different price at different time; second, a different mould manufacturing cycle will also lead to different price. After the mould price estimate, generally in the form of a quote out offer. The main contents of the quote are: Mould quotes, period, required to achieve die times (lifetime), the injection mould technical requirements and conditions, payment and settlement, and warranty period. Quote strategy directly affect the price, profits, production technology and management level, is the most important manifestation of the success mould business management! 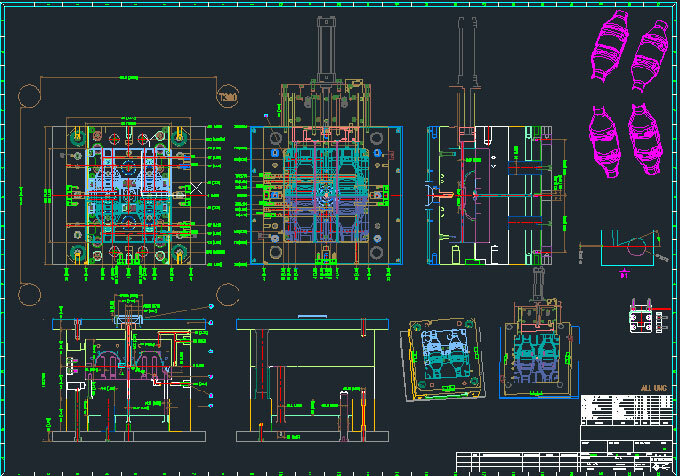 Billing is the ultimate goal of mould design and manufacturing. The final settlement price shall prevail, that is the settlement price. The actual price is the ultimate mould price. 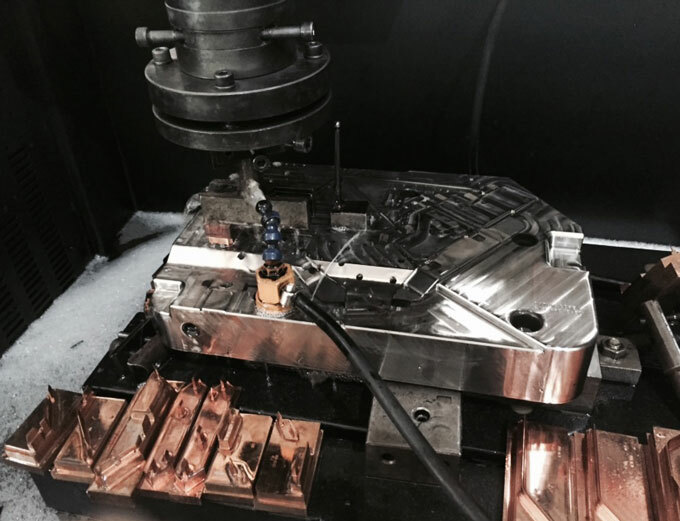 Settlement of the injection mold from design and manufacture is the outset, along with every step of the design and manufacture of each process in operation, design and manufacturing to what procedures, clearing the way to run it in what way. Until the design and manufacture of complete delivery, settlement will end, and sometimes even the general run time. All the design, manufacture and quality technical issues final settlement of all aspects are all transform into economic. We can say that the economy is a settlement of all technical design and manufacture of quality evaluation and affirmation. 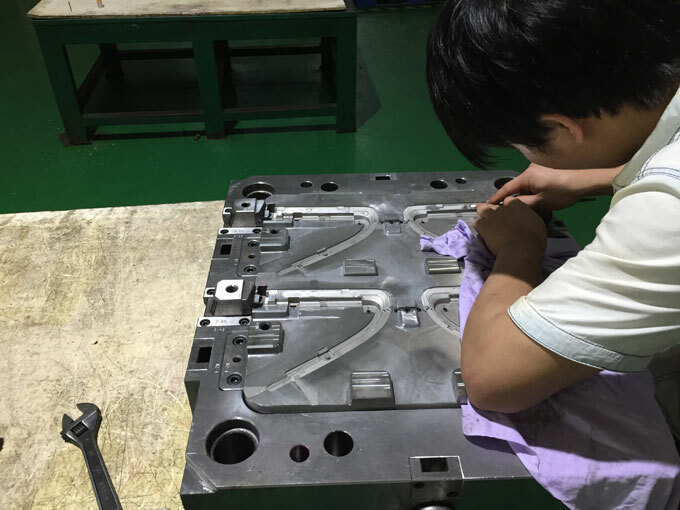 For clearing method, it is a quote from the injection mould began to put forward to the signing of the contract operation of the mould design and manufacturing begins. Conversely, different methods of settlement also reflect the differences and mould design and manufacture. Namely 50% of the price paid in the contract starting date, the rest 50% paid after the acceptance test of the mould. 50% down payment is generally insufficient to pay the basic mould making costs, manufacturing companies have to invest. In other words, 50% of the down payment cannot be synchronized with the lump sum cost of running the injectoin mould. Thus, there is a certain investment risk for mould making companies. After the acceptance test mode, the mould warranty costs nothing to do with the settlement. 50% of the balance in the settlement, since a larger number of payments, and the mould has been completed, there can be clearing arrears. In case of failure of the injection mould, generally only return 50% down payment. 60% of the price of the mould will be paid in contract effective date, the rest 40% will be settled after the injection mould tryout qualified. This settlement is basically the same with the first billing method. Only increase 10% in advances. This is advantageous with respect to the mold manufacturer. 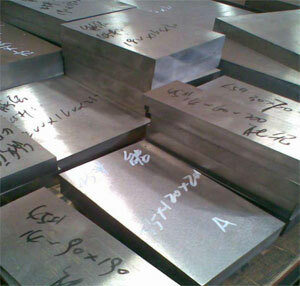 In the mould contract effective date, 30% of the mould price will be paid in advance. When involved in the design, mould material prepared and the start of processing, and then pay 40% of the price. The rest 30%, after the injection mould qualified and delivery, paid within a week. Pre-paid 30% of the purchase price as a deposit. According to another hearing, and check the progress and reliability, a second payment of 40% strengthened the supervision injection mould making progress. The balance of 30% cleared after acceptance and a few days of use. If the mould is failed to be produced, in addition of returning all the advances, the injection mould manufacturer should also pay additional compensation. Compensation is generally 1-2 times the deposit. The user of mould invests only a small part of the funds in order to ensure the basic cost of mould manufacturing (or simply paying nothing). After the mould delivered and starts production, each produced workpiece extracts a portion of profits to return to injection mould manufacturer. In this way, the mould manufacturing and consumers organically linked together to form integrated profit. It tied the investment risks associated with the use of benefits closely linked to technology and economy, quality and production efficiency completely, it also embodied the value and risk of the injection mould. This approach is a lateral linked to the current trends. Its main features are: take full advantage of injection mould makers and consumers, and have more active and reasonable capital investment. But this may be risky for injection mould manufacturer, but rate of return can be more substantial.